One of the oldest religions in the world, Jainism is world renowned for its concept of non-violence but it is not confined to it. Jains produced some of the most extraordinary masterpieces, be it the breathtaking temples or manuscripts. Ahmedabad being one of the major centres of Jainism, the Lalbhai Dalpatbhai Museum houses an enthralling collection of Jain art. From fascinating scrolls to exotic cosmological diagrams and Jain manuscripts, this walk will explore some important masterpieces from the museum collection. 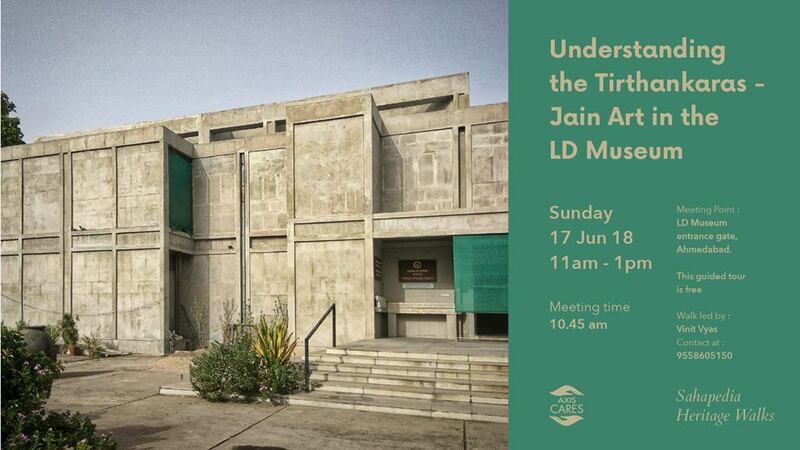 Covering the museum’s major galleries, this walk will also focus on understanding how a Jain monk/nun views these masterpieces. For Mandatory registration which closes after 25 entries. If you are unable to participate, after having registered online, do inform us about the same, through a text message or an e-mail, ideally at least a day prior to the walk. Register only if your participation is confirmed.